Polite society and conventional femininity form a suffocating straightjacket in the eerily intoxicating Beast. Set against a bucolic Jersey backdrop ravaged by an atmosphere of fear and mistrust, it drills deep into the muddled mind of its protagonist as she begins a love affair with a man who may be a killer, plunging headfirst into peril in a desperate bid for freedom. 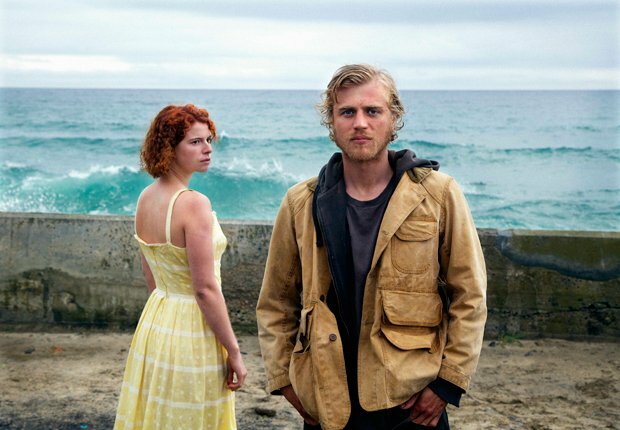 Featuring a star-making turn from Jessie Buckley (Tom Hardy's flame-haired acolyte in Taboo), there's strong support from Johnny Flynn and Geraldine James. The feature debut of British writer-director Michael Pearce – nominated for a BAFTA for his 2013 short Keeping Up with the Joneses – comes at the well-worn serial killer thriller from an impressively unconventional angle. Young girls are being raped and murdered on the island, with the local police incapable of solving the crimes. In the midst of this is Moll (Buckley), a twentysomething tour guide with a dark past and a troubled present. Remade by her smothering mother Hilary (James) into the picture of innocence, inside she's screaming. James is brilliant here in a chilling takedown of passive-aggressive suburban types. Ostensibly respectable, she's capable of breathtaking cruelty and ill-considered control, delivering crippling humiliations to her daughter with the merest flick of her lip. Flynn possesses a strange charisma that makes Moll's dalliance with his potential devil Pascal all the more plausible, but it's Buckley that's the find; hers is a performance of aching sensitivity, gently easing you into understanding a character who is nothing like she first seems, who ultimately proves as unsettling as she is sympathetic. In no hurry to spell things out and with scant desire to conform, Pearce (who grew up on Jersey) draws unease from the story's ambiguity – both lovers simmer with sinister potential. Rumour, bigotry and suspicion do their dirty work and, like The Hunt, Beast shows that the smaller the community the faster the poison spreads, and the more aggressively it takes hold. Its cynicism is infectious, reminding us that those with small minds often have dark hearts and of the impossibility of ever really knowing anyone. Screening on Sat 7, Sun 8 and Mon 9 Oct as part of the London Film Festival 2017. General release TBC.